I’ve a new story out! 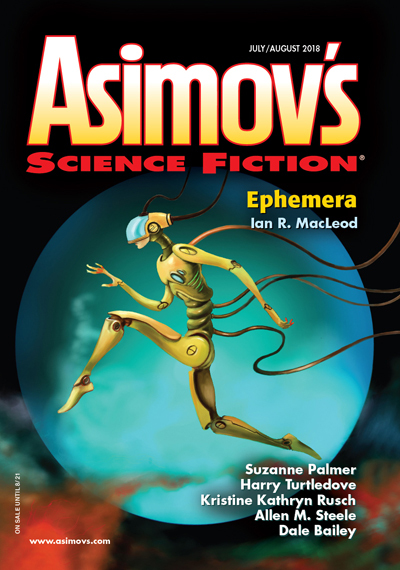 “The Backward Lens of Compromise” is the third novelette of mine to appear in Asimov’s, and I’m really happy for it to be there. Like the other two, “Backward Lens” is about science history – this time, the history of telescopes and the astronomers who look through them. Interwoven with this is a modern day story of science education. Because it is. Because critical thought and objective methodology, the ability to discover new things, is a crucial aspect of education. Kids who lack it become citizens who lack it, and that’s what leads to poor schools in the first place.